We are offering our esteemed clients with the finest quality Cap Slitting MC With Elevator. 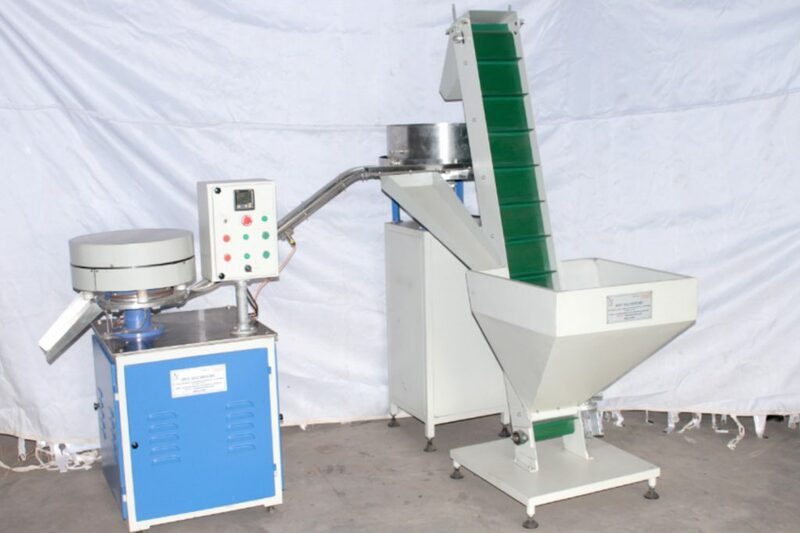 This type of machine is capable of slitting good amount of plastic caps in a short time span. After complete slitting work, it conveys slitted caps to the container with the help of elevator machine. The entire structure is made of duly powder coated metallic alloy sheet that guarantees vibration free constant performance, impact resistance, rust resistance and low maintenance cost. It is equipped with heavy duty induction motor, which helps increase the speed of production line. The Cap Slitting MC With Elevator is simple to install, and comes in varied dimensions & specifications to choose from.